InfoTrust, a Cincinnati-based web analytics and digital marketing company, announced today it has entered into a strategic agreement with Google to become a Google Analytics™ Certified Partner (GACP). As a GACP, InfoTrust offers a variety of services to help clients make the most of Google Analytics, including web measurement planning, advanced feature implementations, media analysis and consulting, website optimization and more. Google Analytics is the free, enterprise-class web analytics solution that gives you rich insights into your website traffic and marketing effectiveness. With features that are powerful, flexible and easy –to-use, companies large and small can analyze their traffic data in order to create more effective marketing initiates and optimized websites. For more information visit http://www.google.com/analytics. 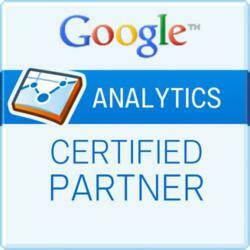 The Google Analytics Certified Partner Program is a highly qualified global network of companies specializing in Google Analytics, a free enterprise-class online measurement tool. Businesses of all sizes can work with a Certified Partner to receive professional help with training, implementation, customizations and consulting services to make their websites and marketing campaigns more effective. For more information about the program visit: http://www.google.com/analytics/partners/partners-criteria.html. InfoTrust focuses consulting on closed loop marketing which includes web analytics, conversion optimization, web development and integration with customer relationship management systems. InfoTrust is both a Google Analytics Certified Partner and a SalesForce™ Registered Consulting Partner, and works with a number of companies in consumer packaged goods, education and manufacturing industries. Please visit http://www.infotrustllc.com for more information.